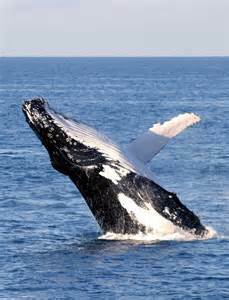 Come to Narooma and experience our whales! Experience a fishing adventure aboard The Sheriff. Book today! Great charter fishing in Narooma and whale watching. Welcome to Montague Island Game and Sport Charters. Experience what Narooma has to offer! We specialise in all size groups from shared charters to private. Come to Narooma, a mecca for game fishing on the South Coast! We will take you on a trip you’ll never forget, be it Game Fishing, Marlin fishing, Yellowfin tuna fishing, Blue fin tuna fishing, Reef Fishing, Whale Watching or Nature Cruise. 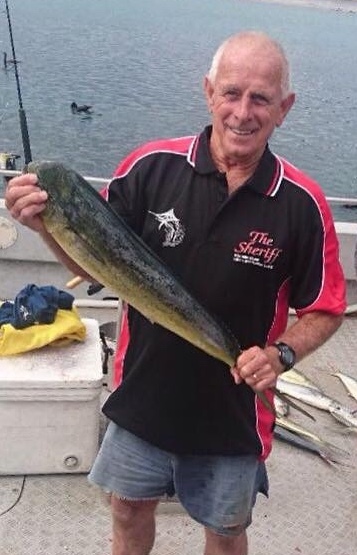 Come aboard ‘The Sheriff’, our spacious 36 ft aluminium charter vessel, and enjoy the sights, awesome fishing and spectacular wildlife, Narooma, Montague Island, Bermagui and NSW South Coast offers. We only take limited numbers on our charters so that the customer has room to get the very best fishing experience and get the very best of attention from our crew. Fishing at Montague Island for the best results we use Shimano Spheros spinning reel for King fishing and reef fishing. For Game Fishing we use Shimano’s Tiagra reels as they have re-written the rule book on world class game fishing equipment. Narooma is a peaceful town and well know for its game fishing, Reef fishing and King fishing. The continental shelf is 20 km offshore from Narooma which is the closest point from the mainland; this means Narooma offers outstanding deep sea fishing all year round and don’t forget Montague Island. The waters of Narooma contain some of the best game fishing found anywhere in the world. Whales are majestic marine wildlife which frequent the waters around Narooma from mid-September to mid-November on their way south to Antarctica. They often show spectacular displays of breaching, fluke slapping and spouting. Come with us on ‘The Sheriff’ and view these huge marine athletes in their own environment. We do 2.5 hour trips to enjoy the beautiful scenery and wildlife which include also visiting the resident seal colony. Seals are present all year and worth the trip in their own right. Dolphins are also regularly encountered, swimming and jumping alongside the boat whilst checking us out.